Heroes, Heroines, and History: Inside the White House: The Blue Room...Plus a Giveaway! Inside the White House: The Blue Room...Plus a Giveaway! 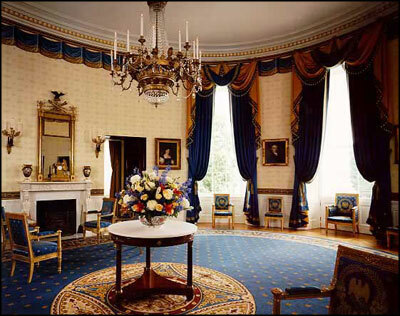 With the Yellow Oval Room above it and the Diplomatic Reception Room below, the first floor Blue Room is one of three oval reception rooms in the White House. The Blue Room has functioned as the primary reception room since the White House was built, and was first described as the architect, James Hoban, as the "elliptical saloon." The Blue Room as refurbished in 1995 during the Clinton Administration. Public Domain. President John Adams used the chamber for receptions, but also as the house's south entrance hall. This particular use did not last, however, and during the Madison Administration, architect Benjamin Latrobe designed classical-revival furniture to be used here. Sadly, the chairs and other furnishings were destroyed when the White House was burned in 1814. President Madison set about redecorating the refurbished White House, and ordered a suite of mahogany furniture in the French Empire style for the oval room from French furniture maker Pierre-Antoine Bellangé. However, the firm sent gilded furniture, insisting mahogany was not appropriate for saloons! The oval Aubusson rug, woven specially for this room, was described as green velvet, and the chairs were upholstered in crimson and two shades of gold--not blue. The Blue Room was not blue until President Van Buren redecorated in 1837. While the blue theme continued through following presidencies, the furniture did not: in 1860 President Buchanan auctioned off several pieces and replaced them with rococo-revival pieces. In the 1870s, President Johnson's daughter-in-law chose blue wallpaper paneled with black and gold geometric shapes. The Blue Room during the Grant Administration, 1870s. Note the paneled wallpaper. Public Domain. It was in this room, with the glass rosettes on the walls, that President Cleveland married his wife, Frances in 1886. President Cleveland and Frances Folsom's wedding in the Blue Room. Harper's Weekly, Public Domain. In 1902, during the refurbishment that occurred during President Roosevelt's Administration, the Blue Room's decor was restored to its former Empire style. When Jacqueline Kennedy set about restoring and updating the White House in 1961, she read an article that referenced a suite of French Empire-style gilt wood furniture made in 1817 by French furniture maker Pierre-Antoine Bellangé for use in the Yellow Oval Room--the same designer who created the suite for the Blue Room. Kennedy's staff began to research the lost pieces, and found but one: a pier table. The pier table was acquired, restored, and received a new white marble top. It was placed across from the fireplace, which is where it sat during the Madison Administration. Replicas of the lost Bellangé chairs were made (although three originals were acquired by the 1970s). A marble-topped table purchased by Madison in 1817 was reintroduced over the years, and still serves as the room's centerpiece (unless it is the Christmas season, when a Christmas Tree takes its place. 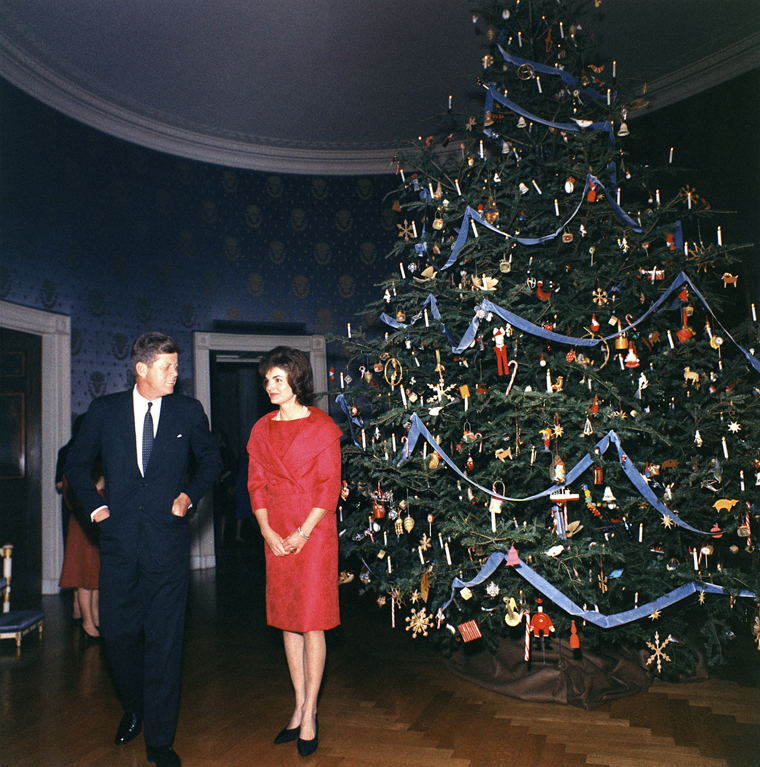 The first themed-Christmas at the White House was 1961, when Mrs. Kennedy chose a Nutcracker theme. Robert Knudsen, White House Collection - The White House, Kennedy Library. Public Domain. While the room has been updated several times, its last refurbishment was in 1995, under the direction of the Committee for Preservation of the White House, the White House Office of the Curator, paid for by the White House Endowment Trust. It has remained a popular chamber, used to receive diplomats, hold receptions and meetings, for small dinners, and to gather. 1981, Presidents Nixon, Reagan, Ford and Carter share a toast in the Blue Room. Public Domain. Christmas in September?! It sure is! Today I'm giving away a copy of my new release, The Victorian Christmas Brides Collection. To enter to win, please comment below by September 7, 2018, noon Pacific time, and include a way to contact you. 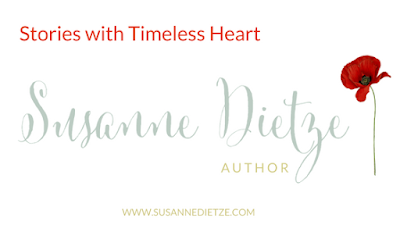 Susanne Dietze is the award-winning author of over a dozen inspirational romances. You can learn more about her at www.susannedietze.com. I hope you enjoy the book, Melanie. The other authors are amazing and I love the stories! I, too, enjoy Christmas tales. I agree, Connie. I used to think the decor stayed pretty much the same at the White House. Boy was I wrong! So interesting to see how it changes according to the times. You're entered into the giveaway! Thank you so much for the chance to win a copy of this collections book, I love these. Hi Wendy! Thanks so much for coming by. I've got you entered into the giveaway! Loved reading about this book, thanks. Hi Shirley! So glad you could visit today. You are entered into the giveaway! The Blue Room is so lovely, and blue is a wonderful color! We were just there, and it was so pretty. Hi Marilyn! I had thought the Blue Room was always blue, and thought it was interesting that it wasn't! And so many shades of blue have been used, too. Hi Bonnie! The tree is gorgeous, isn't it? I love seeing the White House tree every year. Thank you so much for saying hi. You're entered into the drawing! Hi Susanne! It is indeed a great group of authors--their stories are wonderful! I've got you entered into the giveaway. I enjoyed learning about the history of the blue room! I visited the White House back in ‘92. It was really neat getting to walk some of the same hallways as our presidents. I look forward to reading this collection of stories! Hi Trisha! How fun that you could visit the White House! I was able to visit in June...just a few weeks ago! I took photos of my own to add to these posts, but they didn't come out very well and I didn't feel like I could stand there all day taking new ones! LOL. How thrilling to be there, though. I truly hope you enjoy the stories! Thanks so much for coming by. You're entered into the giveaway! Susanne, thank you for this interesting post about the Blue Room and it's history! Oh Alison, you're in for a treat. The other authors are amazing and I love their stories. I surely hope you do, too! Like you, I love reading Christmas novellas. Thank you so much for coming by and entering the giveaway! Have a great day. This book has definitely been on my radar ever since the cover was revealed. Looking forward to reading it. Thanks for the chance to win. The cover really is lovely, isn't it, Susan! I think Barbour's art department did a wonderful job. The inside covers are really neat, too. I love blue! Thanks for including the link for the painting of the "Blue Room during the Grant Administration, 1870s." It's lovely. I didn't realize wallpaper came paneled like that. I wonder if the width was the same as today? I always assumed the wall "panels" were stucco-like borders. I love the painting of the Blue Room, too, and would have loved to include it, but as far as I could tell, it isn't Public Domain. It's really special, isn't it? That wallpaper--oh my! I never knew the blue room was any other shade than the royal/navy blue it is now. Thanks so much for your kind congratulations! You're so sweet. And LOL on the mixed emotions! Thank you for the historical detail of the Blue Room. I also enjoyed looking at the pictures and learning about the themed Christmas trees. Hi Michelle! I love the pictures, too. It's so fun to see how the room has changed over time. And the Christmas trees...oh yes! They are always so fascinating and fun! Blue is my favorite color. I would love touring the White House. Loved looking at your pictures and the themed Christmas trees are so much fun. Speaking of fun,reading your new Christmas book now that would be a blast. We all need a little Christmas fun in our lives. Hi Deanne! Yes, we all do need a little Christmas fun in our lives! I tried to make my story very "Christmassy"--with pine, snowball fights, carols, and of course, the food! You're entered into the giveaway! Thanks for coming by. I love these collections. Thank you for the chance to win a copy of this one. Hi Susan! I love novella collections too. They are so fun, and Christmas ones are always a "must read" for me. Hi Susan! It is indeed interesting how the rooms change. Now there are a few committees who ensure the rooms are kept to a certain style of decor and account for every item in these public rooms! I love the history in these rooms! Thanks for coming by. You're entered into the giveaway! What amazing history! And I look forward to reading this one! Hi! So good to see you! :) I truly hope you enjoy the stories. It's 99 degrees at my house, and doesn't feel a thing like Christmas, but that's ok...it's Christmas in my heart! Susie, I enjoyed this fascinating post! 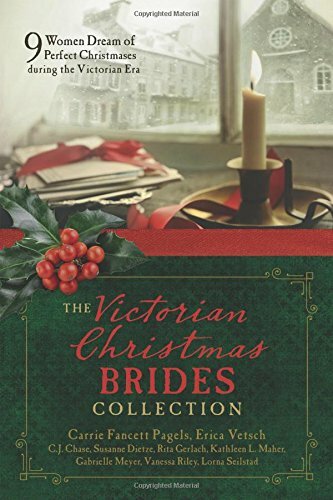 I'm excited to read The Victorian Christmas Brides Collection! Hi Caryl! I am so glad you came by. I hope you enjoy the book! Thanks for entering! Hi Trixi! I have enjoyed learning the history of these rooms, for sure! You're entered into the giveaway! Thanks for coming by! I was able to tour the White House this summer! It was amazing to be there. So much history! I was there this summer too! Wow! What a fun trip that was. We'll have to touch base about what we were both able to see and do! I can read Christmas stories anytime and I hope to always have heart and mind that enjoys Christmas and its true meaning. This is a lovely book! Thanks for sharing. Hi Connie! I can read Christmas stories anytime too. And I love that your heart is celebrating Christmas (and its meaning) the whole year through! Congratulations to Michelle F, who won the copy of Victorian Christmas Brides! Michelle, I'll send you an email!